So far, things have been good at this new RV park. I do have some complaints, but they’re things that I cannot do too much about. We’re inside city limits, so there is no possibility of having a fire, which probably wouldn’t work out well since the lot sizes are super small. The only thing differentiating this from a parking lot is the privacy hedges, and hookups. I chose a spot close to the main building as that is where the ShawGoWifi is. As I am registered to use Shaw Wifi, I’d rather do that, than need to pay for the TengoInternet that is also provided. The guy in the registration office mentioned that the ShawWifi was set up to allow only in the building, but those close can sometimes pick it up. Now, from what I know of the Shaw Wifi (having once been an employee), it’s supposed to be broadcasting at full strength. Obviously, with a router and three repeaters, they’re not doing that. I also noticed that the Shaw Wifi vanished right around 7pm last night. I can pick it up at my location with nearly full bars (I’m about 30 feet from the office), so for it to vanish, makes me wonder if it’s being shut off at night, which is not a part of the business contract companies have with Shaw. I’ll watch for it again tonight. If they’re shutting it off, then that means they’re trying to force people onto the TengoInternet which is $25 a week, or free for 4 hours a day, split into 2 hour chunks per 8 hours. Not exactly a cheap nor convenient option for someone who’s career relies on being online. If it appears that they’re shutting off the Shaw, or are limiting it’s signal, I still have friends at Shaw that could look into it for me and get the situation corrected. I had a quick meeting today over the internet, and then went out to explore. I am about a 10 minute walk from the nearest SkyTrain so that’s great. Now I need to figure out the payments. There are different fees for different “zones”. I need to figure out if I pay the fee for the zone I am travelling to, or both? Over $6 to travel one way seems really stupid, but I’ll call and get it all figured out. Last night I walked to the Walmart nearby, which is about a 30 minute walk, but it’s a nice walk. 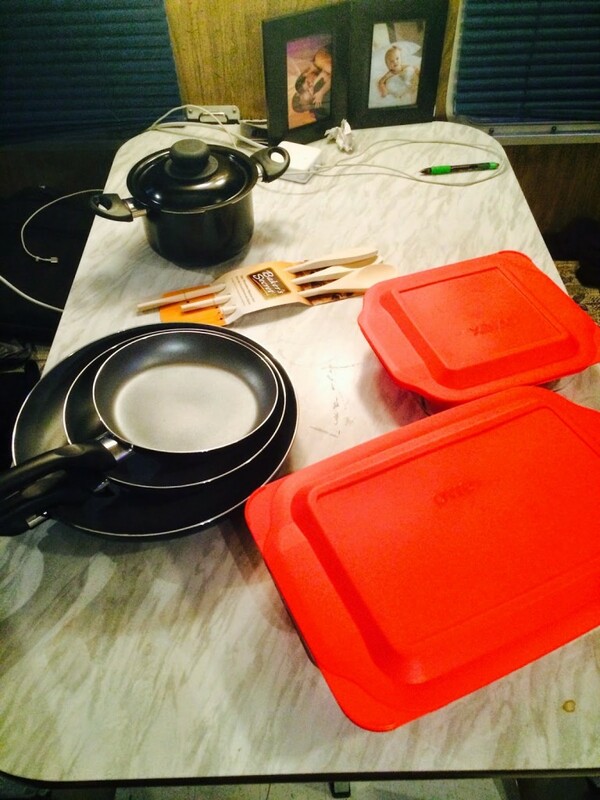 I needed to get a few things that I was missing, like food, and some cookware. Even though my wife and I actually talked about needing to go into the garage to get me some cookware, and a pillow, the emotional events of leaving my family made us forget. So, I bought some stuff, and headed home, upon which I realized I STILL forgot stuff… Moving seriously messes with one’s brain. My recommendation is to always make sure you have a checklist written out. The pot actually has a lid that doubles as a strainer, so I’m stoked about that for my pastas. Next on the list is some oil cleaner to clean up my mess. It’s not the parks problem, it’s mine, and I want to keep a good impression. Aside from that, I had to buy a new sewer hose. It worked great in Hope, and then sprung a leak, so I think it scraped something in the bumper. I bought a heavy duty one from Walmart, and took some time to swap the parts over. I’m just happy all I did was open the grey water tank. That was water from the day before only. So far, that’s about it. I’ll post pictures from my walk in a different post once I get them sorted out.